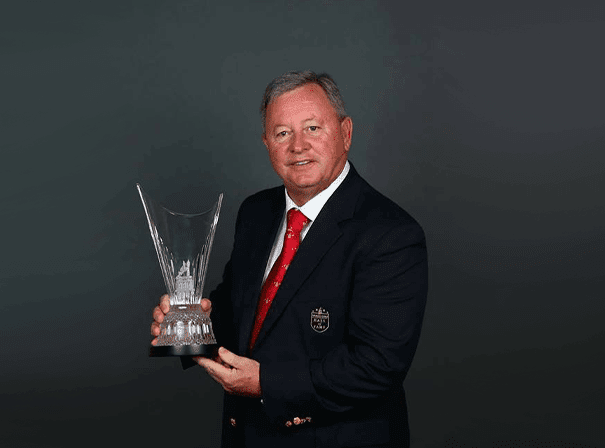 A golfing giant and true Welsh professional, Ian Woosnam makes fantastic after dinner speeches about his time in the game. Whether your audience is made up of people needing inspiration, golf fans or the general public keen to see a world-class sportsman in the flesh, this “wee Welshman” as he was called, makes a perfect guest. Regarded as one of the “Big 5” European golfers of his generation, his helped make Europe competitive in the Ryder Cup playing alongside the likes of Seve Ballesteros, Nick Faldo, Bernhard Langer, and Sandy Lyle. 56The story goes that Ian is of such a bulky size because he grew up on a family farm shifting hay bails, whilst he also tells the story that he used to “travel in a camper van and eat tins of beans to save money when he was an aspiring pro.” It was winning the Swiss Open in 1982 which announced his arrival on the international scene proper after three years as a pro. 56Having had 2 PGA Tour wins and 29 European Tour wins as well as 14 notable other victories in various World Cups and Grand Slams, there are few more celebrated golfers around than this Welshman.